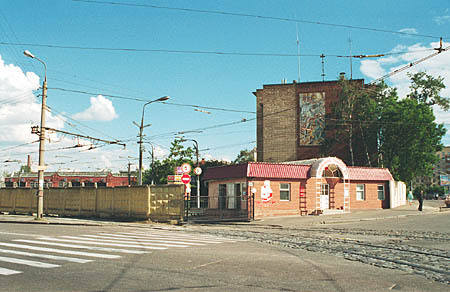 Let us look at Krasnopresnenskoye Depot. First - a look from outside. 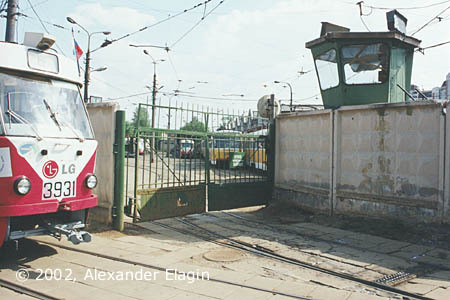 The depot gates as seen from Vagankovskiy Bridge. This entrance has been built rather recently, only some years ago, when nobody could imagine that one day the depot would cease to exist. Another gates in Khodynskaya Street. There are two tracks outside the depot fence in the street, used for shunting and night storage because the space in the depot is too limited to accomodate all vehicles. More gates, this time - in 1st Zemelniy Pereulok. 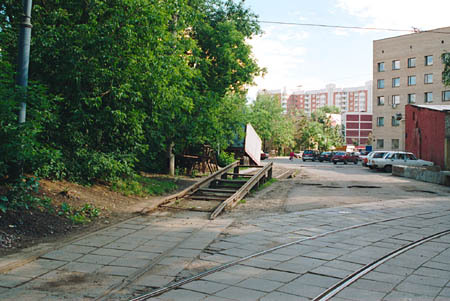 This line, while located outside the fence, is in fact "inner" - trams can get here only from the depot, and all branches but one lead to the depot again. 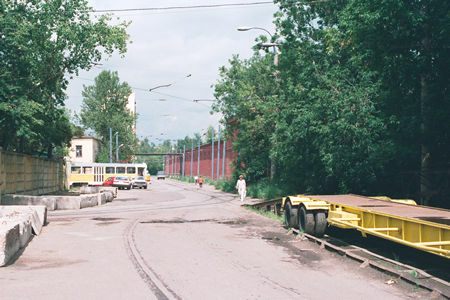 An onramp used to load and unload trams to a special truck trailer. 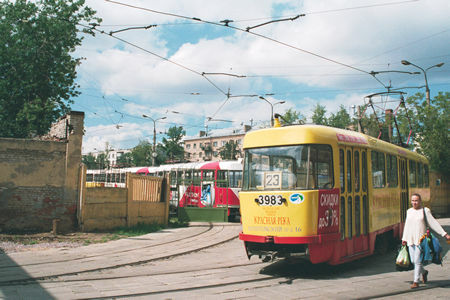 This facility became necessary to transfer trams for heavy repairs to the Tram Repair Shop, because transportation by rails is impossible due to the "island" situation of Krasnopresnenskoye Depot. 1st Zemelniy Pereulok. 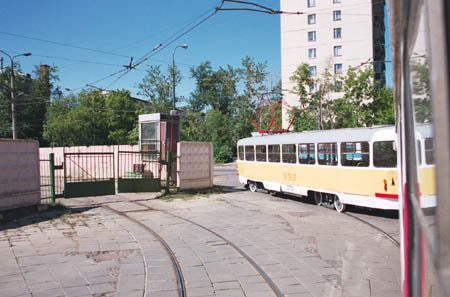 A Tatra T-3 tramcar is leaving the depot gates in the distance, while a tram-carrier trailer is waiting by the onramp.